Rancho Sisquoc- Steeped in history and still keeping things fresh. Over the last four decades, Rancho Sisquoc has become a household name in local winemaking and wine tourism. Located at the end of the Foxen Canyon Wine Trail in Santa Maria, the property of Rancho Sisquoc is a destination every wine lover must experience to fully appreciate. As a major stop on the Foxen Canyon Wine Trail, the winery is a 300-acre slice of a roughly 38,000-acre working ranch, mine, and farm. 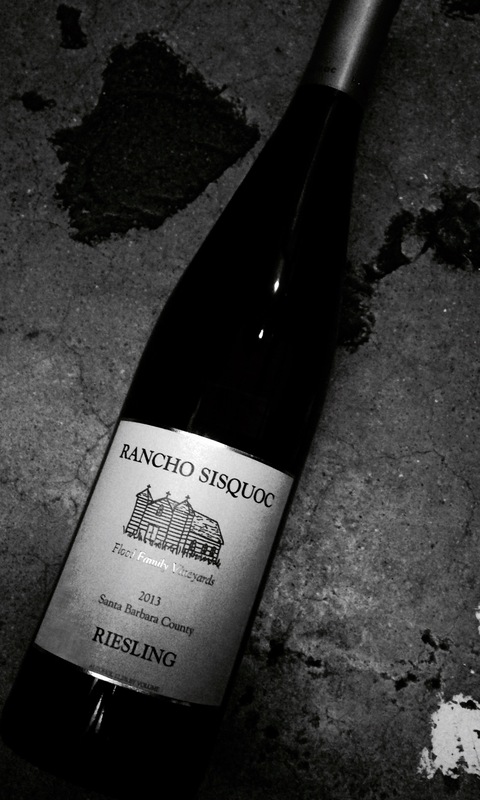 As one of the oldest wineries in Santa Barbara County, Rancho Sisquoc’s name is an important piece of California history. The San Ramon Chapel (the label art of Rancho Sisquoc’s wines) has been a staple on the Ranch for over 140 years and became the county’s first State Historic Landmark in 1977. Vines were first planted on the Ranch in the late 1960s, with the first vintages produced in 1972 by a Ranch Manager, rather than the traditional Head Winemaker of today. The unique Sylvaner wines come from the former Ranch Manager, who fell in love with the grape while serving under General Patton in Europe. We’re pleased to offer the 2016 Sylvaner vintage of these same vines as one of our featured wines this month! Sarah Holt Mullins, our Featured Winemaker, was born and raised on Rancho Sisquoc. Her parents moved to the Ranch in 1976 as farmers, working their way up at the Ranch. Sarah’s father is responsible for many of the vine plantings on the vineyard. Growing up, Sarah worked many odd jobs on the Ranch, working her way into the winery on her own journey. Over time on the Ranch, she began to appreciate the effort put into every wine, from grape to bottle. The experimentation with wine, responsibility over the grapes, and experience of tasting wine that you created was an experience that sold Sarah on the wine business completely. In her own words, “it’s all-consuming; your whole life has to be in [the wine business].” Sarah credits everyone from her Oenologist, assistants, grape-growers, salespeople, and her customers (some of which have been wine club members for 20+ years!) in the process of creating famous Rancho Sisquoc wine. Everyone’s love and effort in the process is vital to creating the wines, and each is a vital part of her process. If she could sum up her winemaking style, she’d use “Love”. Sarah loves the wine, loves the process, the business and most of all, Rancho Sisquoc. Sarah’s family and others who work the Ranch live on the property, putting their time, effort and love into the soil they call home. Rancho Sisquoc works with over 14 different varietals, which they believe is for everyone from the wine novices to the budding sommeliers. Part and parcel with this theory is how they market their wines, as wines that everyone can afford, bringing fine wine to everyone who is curious about the taste, process, and subtleties between great wines. Sarah’s favorite grape is Merlot; another featured wine from Rancho Sisquoc in October. The tasting room Mantra at Rancho Sisquoc; everyone is allowed 6 free tastings, but if they didn’t try the Merlot, that becomes the 7thfree tasting. The wine is a classic albeit currently underappreciated staple to the winery’s oeuvre. Sarah plans to keep “taking chances in the vineyard”, a trait she attributes to her father’s influence on her winemaking. As grape growers who have been in the industry for 40+ years, taking chances keeps their work fresh to consumers and their business. For example, in the “Tre Vini” Red Blend release, Sarah’s team might change the blend based on the year’s harvest, to perfectly balance each release. You can find this wine with the other aforementioned two as another Featured Wine at the Wine Merchant & Café! Sarah’s long relationship with winemaking reflects the story of many local winemakers. 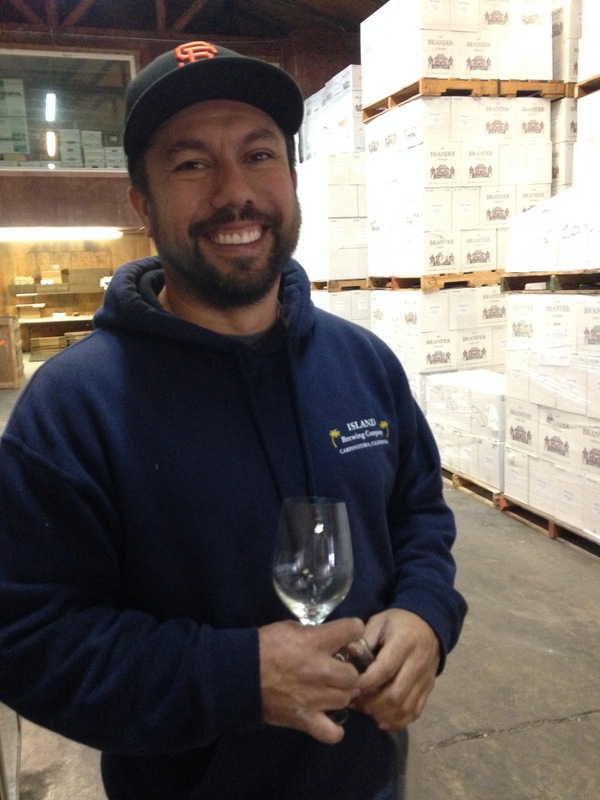 Check out more of our monthly interviews with featured local winemakers here! Wine lovers often have the romantic notion that the land, the terroir, will always triumph above all else to dictate what grapes thrive where, and what defines a given region. In reality, economics and the fickle nature of the marketplace often play just as big of a role. Case in point: Santa Barbara County’s history with Riesling. The early reputation of our area, particularly cooler climate regions like Los Alamos, Santa Maria Valley, and the Sta. Rita Hills, owes a great deal to Riesling, back when you’d see it labeled as White Riesling or Johannisberg Riesling. Through the ‘90s and ‘00s, however, economics forced Riesling out in favor of Chardonnay and Pinot Noir. Riesling is now making its long overdue comeback thanks to a new generation of consumers, critics, and sommeliers championing this truly noble grape. I recently spoke with vintners in the area to discuss the history of Riesling, and its Teutonic brethren Gewurztraminer and Sylvaner, in our region, and their future in Santa Barbara County. The story of Santa Barbara County Riesling begins in 1964 with Santa Maria Valley’s legendary Nielson Vineyard (now part of the Byron property). Soon after followed Rancho Sisquoc’s planting in the southeastern portion of the AVA. “A small test plot of Riesling was planted in 1968 and were the first grapes planted in any amount of acreage, followed by 9 acres in 1970,” says Sisquoc vineyard manager Ed Holt. 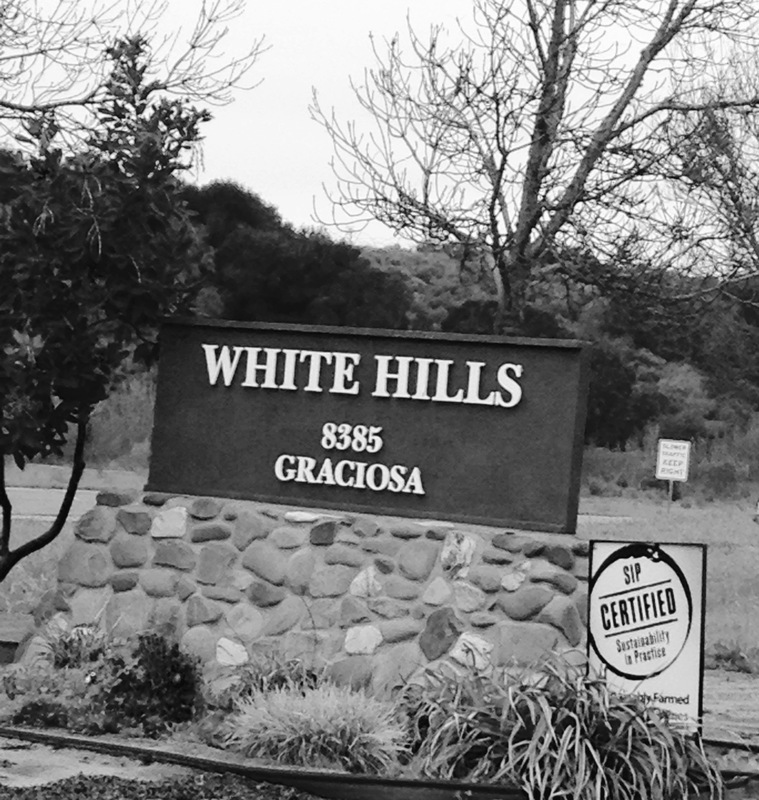 Other early plantings include Firestone, Tepusquet (now part of Cambria), Curtis Vineyard’s Area 51 (now owned by Andrew Murray), Sanford & Benedict, Zaca Mesa, Lafond, Lucas & Lewellen, Babcock, Koehler, White Hills, and Gainey. Of these, Sisquoc, Lafond, Lucas & Lewellen, White Hills, Firestone, Curtis, Koehler, and Gainey have Riesling remaining. More recent plantings plantings include Coquelicot, Camp 4, La Presa, Brander’s Los Olivos Vineyard, and Fess Parker’s Rodney’s Vineyard in the Santa Ynez Valley; Ampelos in the Sta. Rita Hills; Riverbench in Santa Maria Valley; and Kick On Ranch (formerly known as Careaga Canyon) in western Los Alamos Valley. 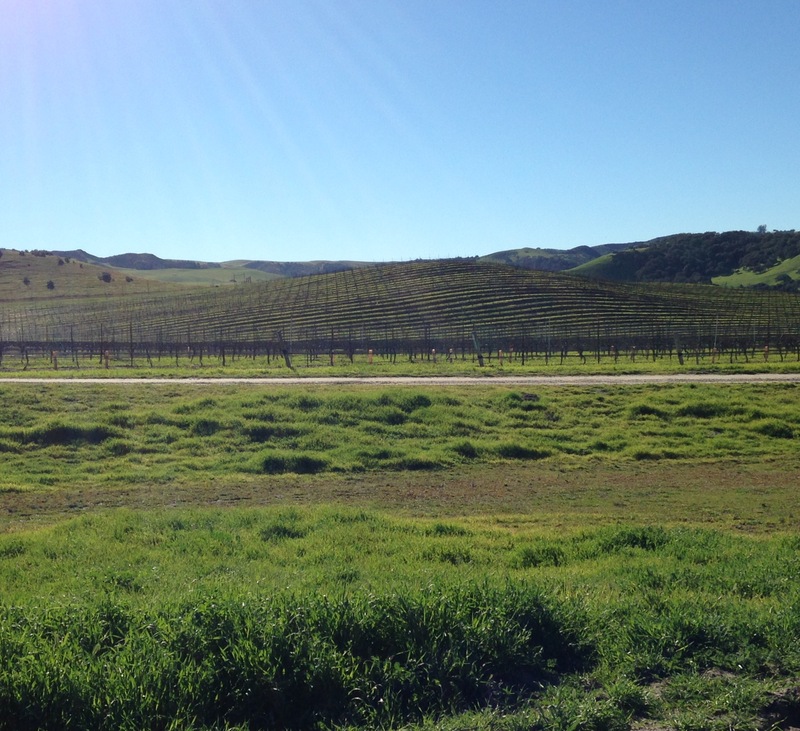 The latter vineyard is perhaps the most promising for modern Riesling in Santa Barbara County, with a critical mass of independent, cutting edge winemakers culling from this spectacular site. The leader among this group is Graham Tatomer. 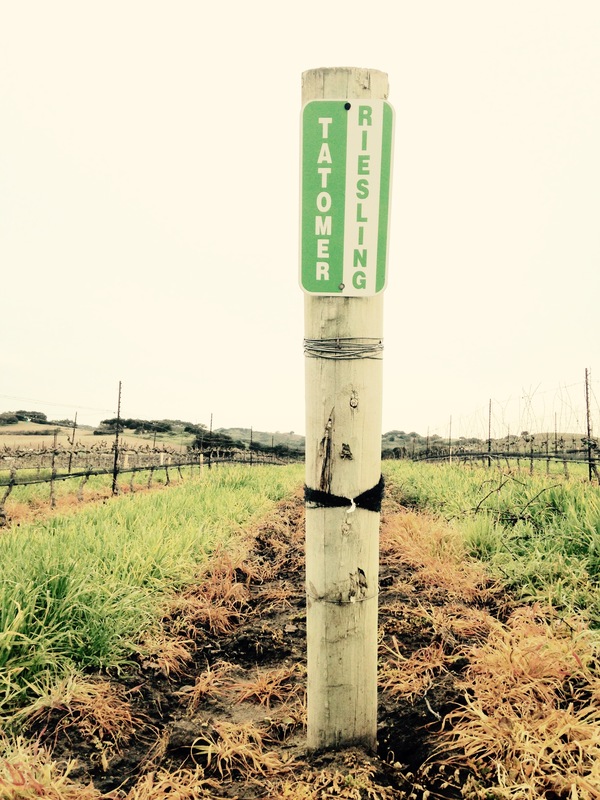 Tatomer, a Santa Barbara native who fell in love with the grape after his first taste of an Alsatian Riesling, has built his Riesling-focused program around Kick On. “Kick On is by far the most important site I work with, and it’s a wonderful site,” says Tatomer. “It’s a long-term contract. Jeff Frey has done a great job farming the vineyard, but he leaves the executive decisions on my blocks to me, so I have complete control of the farming, from pruning to leafing to watering.” Tatomer focuses on Block B, a newer planting from the early 2000s. “I took B block because of greater vine density, it’s further up the hill, and it has a southwest exposure,” states Tatomer. “Great aspect, there’s sun but plenty of access to the wind as well… Jeff and I have been experimenting with weed control methods, trying to get closer to completely organic farming.” Tatomer produces two different renditions of Kick On. The vineyard designated bottling is lean, austere, inspired by Austria and Alsace yet uniquely California, with the mineral intensity of this site concentrated into a chiseled package. His Vandenberg bottling, on the other hand, is focused on botrytised fruit, mainly sourced from Kick On, and is comparatively plush, with more pronounced stone fruit aromatics while still capturing Kick On’s precise character. Other wonderful Kick On bottlings abound, from the bright and taut wines of Ojai, Municipal, Mes Amis, Stirm and J. Brix to the slightly off-dry expressions from Margerum and La Fenetre’s Josh Klapper under his Dr. Klapper moniker. The most profound bottling of Kick On I had the pleasure of tasting in researching this article, though, came totally out of left field. Fred Brander’s Brander label has long utilized Kick On fruit as part of its Cuvee Natalie blend; in 2014, however, they chose to do a vineyard designated, varietal Riesling from Kick On. Winemaker Fabian Bravo casually shared this recently bottled wine with me this week after tasting through numerous soon-to-be-bottled Sauvignon Blanc tanks (which were great as always), and I was absolutely floored. Reminiscent of great Auslese-level Mosel Riesling- sites like Erdener Treppchen or Urziger Wurzgarten come to mind- this was wild, singular stuff. Notes of orange bitters, juniper, clove, Luxardo Maraschino, vanilla, cherry, even a perception of minerality reminiscent of the Mosel’s blue slate (though of course this is the glorious sand of Kick On) – the overall effect was reminiscent of my favorite classic cocktail, the Martinez, but with perfect balance and deceptively bright acid. Bravo explained that the unique character of this wine resulted from a new winemaking approach. “We stuck it in a tank that freezes the juice, then we turned the system off, cracked the valve, and basically concentrated the must, so almost reverse ice wine making,” laughs Bravo. “You do lose a lot of volume, probably 70% or more. It’s a slow process, someone sits there pulling off about a gallon an hour. Early brix will be up around 50 at that point with the first lots, and it will drop over time as we pull juice off. The resulting amount was so small that we fermented in beer kegs, and only ended up with 21 cases.” The wine instantly became a new benchmark for me, and is a testament to the talents of Bravo and the always-experimenting Fred Brander. If you can get your hands on a bottle of this precious nectar, consider yourself blessed. 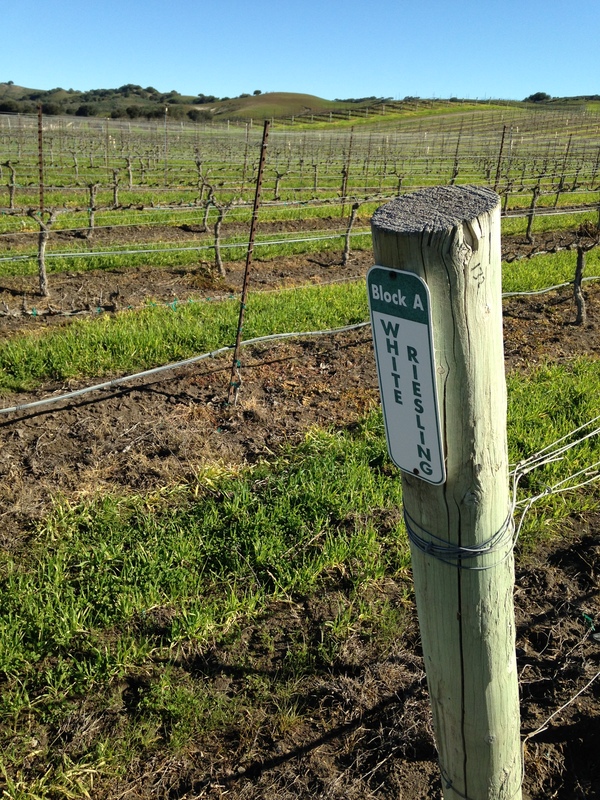 Some of the most legendary Santa Barbara County Gewurztraminer came from a site that no longer has the variety planted: Babcock Vineyard. 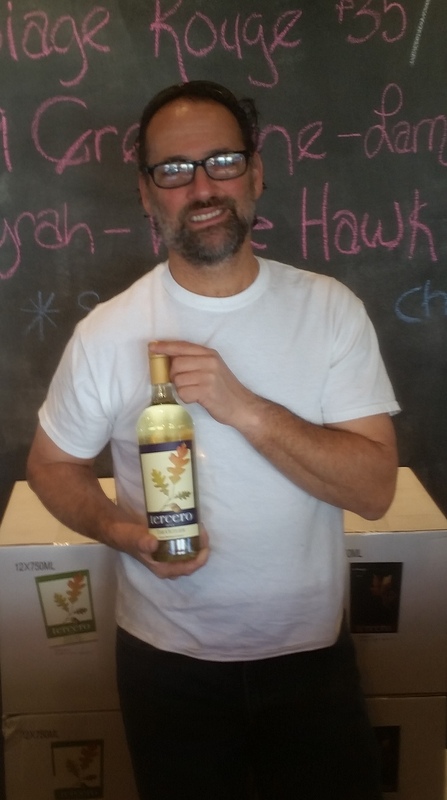 “The first grapes I ever crushed at the estate were Gewurztraminer,” recalls Bryan Babcock. “It came in late August of 1984.” The old guard of Sta. Rita Hills speaks of Babcock’s Gewurztraminers with the same awe reserved for the early vintages of Sanford & Benedict Pinot Noir or Au Bon Climat’s early Chardonnays, but there are, sadly, almost no bottles remaining of his Gewurz from this era. Along with Babcock’s Riesling, the Gewurztraminer developed phylloxera in the late ‘80s, and had to be pulled out. When the time came to replant, he went in a different varietal direction. One of the big questions with these grapes is whether to ferment the wine completely dry or leave some residual sugar. Santa Barbara County has traditionally produced mostly off-dry or late harvest styles, though the recent Riesling resurgence has favored drier wines. In the case of wines from the prized Kick On Ranch in particular, this often means Rieslings with almost punishing austerity, taut, saline expressions where the nearby ocean and the sandy soil underfoot are palpable on the palate. Yet those who have chosen off-dry expressions here, such as Brander or J. Brix’s petillant naturel sparkling Riesling, tap into a similar core of place with residual sugar that offsets this high tension, high acid vineyard beautifully. Ultimately, it is about balance, an idea that is, as with most things in wine, subjective. “The sweetness of my Gewurztraminer varies each year depending upon a number of factors, with the main one being ‘mother nature’,” states Tercero’s Larry Schaffer. “When you ‘stick’ a fermentation by cooling it down and adding SO2, it is not an immediate process – yeast cells want to continue to do their thing. Therefore, the residual sugar levels in my wine are never the same from year to year.” Some of the oldest producers in the area, such as Rancho Sisquoc and Santa Barbara Winery, have crafted off-dry Rieslings for decades, speaking to the great demand this style has in the marketplace. These wines are often the gateway into appreciating wine for younger consumers, but make no mistake: these wines still strongly communicate a sense of place. “The sweet Riesling style is very popular in this area and in outside sales; it would be hard to market a dry after so many years of sweet,” says Sisquoc’s Holt Mullins. This balance between sugar and acid also allows the wines to age surprisingly well. Many of my most profound experiences with older California wines have been late harvest Rieslings from the late ‘70s and early ‘80s, often acquired at auction for $10-15. Many of those same wines are now $40-50 at auction, giving me hope for their continued growth in the vineyards and in the marketplace, if not for my pocketbook. Santa Barbara County Riesling (and Gewurztraminer, and Sylvaner) is a thing of beauty. Throughout a range of styles it expresses site cleanly and clearly, communicating place in an unadorned fashion. From the mineral, brilliant wines of Tatomer to the exotic, innovative Riesling of Brander, from the experimentation of Ojai’s various bottlings to the old stalwarts of Sisquoc, SBC Riesling is distinctive and fresh. Graham Tatomer, who has staked his reputation on Riesling, sums up the mix of regret for Riesling lost, and hopefulness for Riesling’s future, in Santa Barbara County. “Riesling is the last noble grape that hasn’t really taken off yet in California. I hope to find a vineyard as great as Kick On going forward, but it’s a challenge. A lot of those amazing early plantings, like Sanford & Benedict and White Hills, are gone. But this grape has thrived because it truly makes some of the greatest wines on the planet.” Our region has something new to say about this legendary grape, and now more than ever there are winemakers broadcasting this unique voice loud and clear. – Riesling-Extremely sandy, with minor sandstone and shale fragments. Arnold and Betteravia series. – Riesling and Gewurztraminer- Extremely sandy. Arnold, Betteravia, and Corralitos series.